Ongoing security force operations in multiple districts of the Nduga regency have caused the displacement of thousands of indigenous people.The media outlet BBC Indonesia reported in early March 2019 that approximately 2000 IDPs from Nduga are estimated to have sought refuge in the regency of Jayawijaya alone. 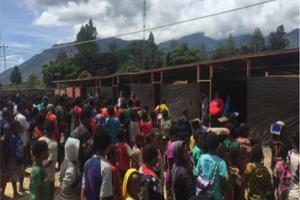 A group of teachers, volunteers and civil society organisations have formed a solidarity group to support IDPs in Wamena, Jayawijaya Regency. On 8 February 2019, the group set up a temporary school for 613 internally displaced children from the Nduga Regency. The school was visited by the international ecumenical delegation coordinated by the World Council of Churches (WCC). Members of the solidarity group have been subjected to intimidation by security force personnel. Human rights defenders documented that at least thirteen IDPs died due to exhaustion, starvation and hypothermia after fleeing their villages. Among them were women and at least seven children under 9 years. 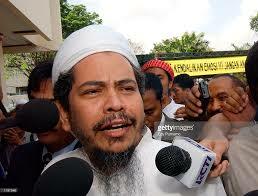 The police has raised criminal charges against the radical Islamic leader Jafar Umar Thalib (JUT) and six of his followers. The seven men allegedly damaged the loudspeakers in front of a private house in the Muara Tami District of Jayapura Regency and physically ill-treated a minor on 27 February 2019. JUT and his followers allegedly felt disturbed because the owner of the house often played loud Christian worship songs. The police charged the suspects with article 170, paragraph (2),1 of the Indonesian Criminal Code (KUHP) about the use of physical violence against objects or people and emergency law 12/1951 on carrying, mastering and possessing sharp weapons without permission. Since the beginning of a widespread security force operation on 4 December 2018, journalists, human rights organisations and independent observers are still restricted from going to the Nduga Regency as the armed clashes between Indonesian security forces and the West Papua Liberation Army continue. Local human rights defenders documented the cases of at least eleven indigenous Papuans, who have been killed by security force members since the beginning of the military operations. Human rights defenders reported that the churches and houses in the Mapenduma district were empty when they visited the area on 26 January 2019. Most people have fled to neighbouring regencies or the surrounding forests in fear of repressive acts by military forces. A team from the health agency of Papua Province was in the districts of Mbuwa and Dal to provide health services to internally displaced persons (IDPs) from both districts and also from the district of Mbulmu Yalma. 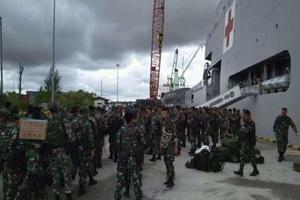 Human rights defenders stated that the members of the military strictly monitored the provision of health services. The heavy presence of the military prevents sick and injured indigenous people from accessing urgently needed health services because many IDPs are traumatized and afraid of security forces. Meanwhile, the Indonesian military continued with the deployment of additional 600 personnel to the Nduga Regency after firefights had allegedly caused the death of three soldiers and a mobile brigade police officer. The Papuan Tabernacle Church has documented various human rights violations at the Siriwini General Hospital in the city of Nabire, Papua Province. These are related to a new policy at the hospital, the introduction of visitor cards, which has resulted in three cases of torture against visitors. The director of Siriwini General Hospital, Dr. Johni Ribo Tandasau, has introduced visitor cards for relatives and friends who come to the hospital to visit the patients. 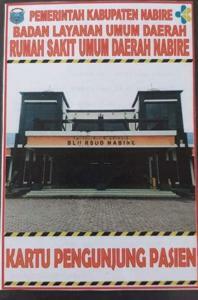 Visitors have to purchase the cards for IDR 50.000, approximately € 3,30. The director has justified the policy, claiming that too many visitors and repeated confrontation under the influence of alcohol disturb the recovery of patients. The hospital is heavily guarded by members of the police and military, who have been deployed to enforce the new visitor policy and maintain public order at the hospital. In addition, human rights defenders raised a case indicating the neglect of minimum health quality standards. The hospital is chronically understaffed, hence sudden drops of the physical condition of patients remain unrecognized and often unaddressed so relatives permanently need to look after the patient. The number of internally displaced persons (IDPs) due to either armed conflict or natural disasters continued to increase during the first quarter of 2019. The ongoing armed conflict in the Nduga regency has reportedly led to the displacement of more than 36.000 people between December 2018 and March 2019. President Joko Widodo has ordered strong military measures against the West Papua National Liberation Army (TPN PB) in order to continue with the implementation of large-scale infrastructure projects in the provinces of Papua and Papua Barat, making a withdrawal of security forces from the Nduga Regency highly unlikely. 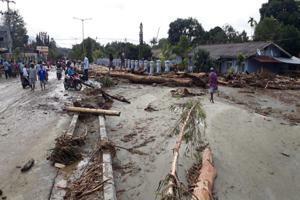 In addition, a flash flood and landslides in the Jayapura area on 16 March 2019 caused the displacement of further estimated 5.000 people. We are concerned about the significantly large number extra-judicial killings in the fourth quarter of 2018, according to updated data. Ten out of eleven cases occurred in the Nduga Regency mostly throughout December 2018, but have been documented and published later during the first quarter of 2019. These figures do not include people who have been reported missing since the beginning of the security force operations or are believed to have become victims of enforced disappearance. Human rights defenders have reported another case of ill-treatment in Wamena, the main city of the Jayawijaya Regency, Papua Province. This occurred on 26 March 2019 at 1.00 pm, as four plain cloth officers of the Jayawijaya District Police were monitoring a local store where they suspected illegal gambling activities. 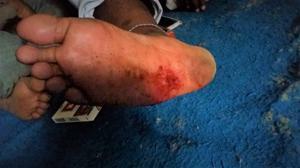 Twenty-three-year-old Vinsen Kosay sustained a bullet injury in the right foot as he was standing next to the store while the officers arbitrarily arrested three indigenous women who were selling betel nuts and vegetables in front of the store. The officers allegedly seized the suspects personal belongings, including their mobile phones and money and intimidated the three women into not reporting the arrest. The International Coalition for Papua (ICP) together with the Westpapua-Netzwerk (WPN), Human Rights Watch (HRW) and Amnesty International (AI) organises a conference on the human rights situation in Indonesia with particular focus on West Papua. On 14 and 15 May 2019 - four weeks after the national elections in Indonesia - the conference will look at ways forward to resolve conflicts in Indonesia and provide sustainable reforms to protect human rights. Together with German politicians, human rights defenders and journalists from Indonesia experts will share their analysis on recent human rights developments in several panel discussions.Registrations may be made online.